Soak the melon seeds in water and grind to a paste. Heat butter in a heavy-based pan and add cumin seeds. When the seeds begin to splutter, add ginger and brown very slightly. Add tomatoes and saute over medium flame, till the oil separates. Add the melon paste, turmeric, coriander, salt, chilli powder and garam masala and sauté over low or medium flame, till the oil separates once again. Add green chillies along with 2 cubes of crushed paneer and saute till the green chillies start looking glossy. Mix in water and bring to a boil. Leave to simmer for 3-4 minutes. 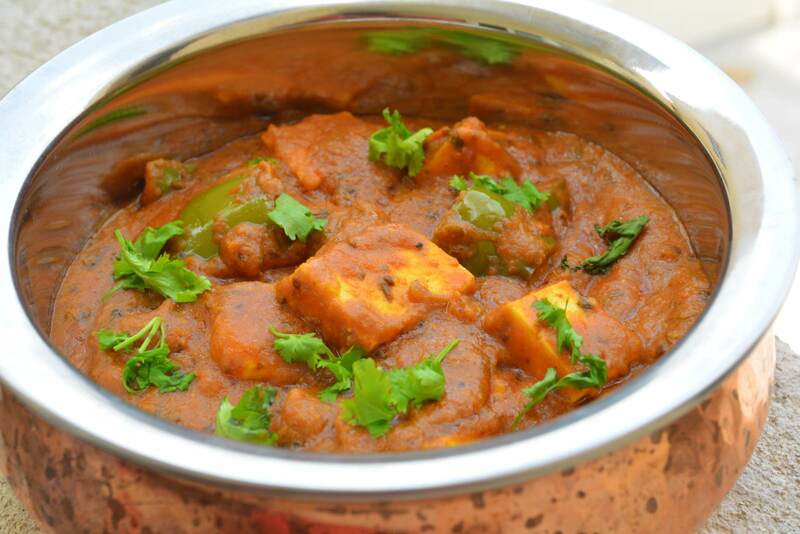 Add paneer cubes, simmer for about 2 minutes and serve hot, garnished with coriander.